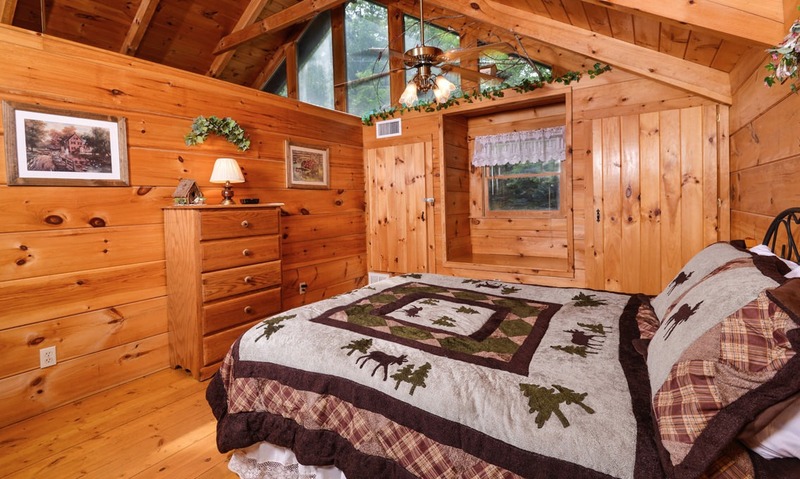 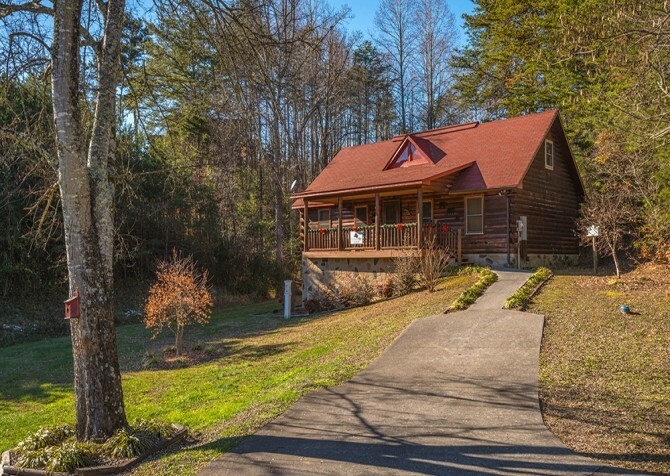 Surrounded by tranquil wooded views and filled with homey conveniences and bonus amenities, this 2-bedroom, 2-bathroom cozy cabin is the Mountain Magic you've been searching for in the Smokies! Spend time watching DVDs with the family, whip up homemade meals in the fully equipped kitchen, play rousing rounds of pool with friends, soak tired muscles in the steamy hot tub, sip wine with your spouse in the rocking chairs, and head to dreamland in the plush king-size bed. Not to mention, this Pigeon Forge cabin also provides a gas fireplace, an indoor jetted tub, plus a washer and dryer. 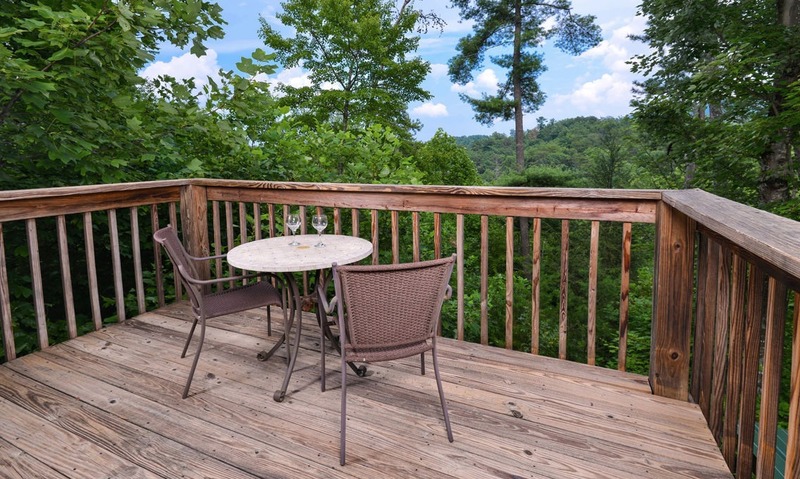 Enjoy Mountain Magic with family and friends in the Great Smoky Mountains — YOU deserve it! 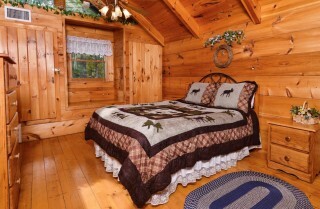 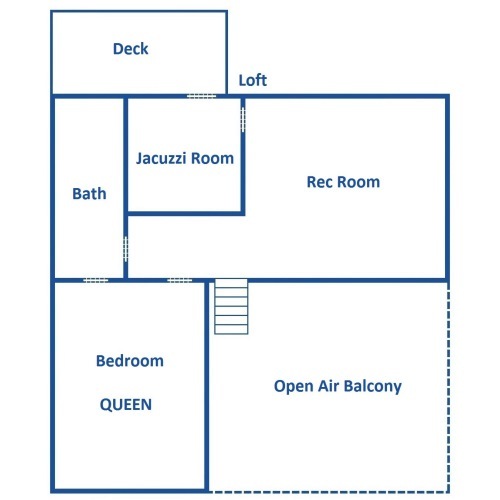 The master bedroom in Mountain Magic has a comfortable king size bed and the second bedroom has a cozy queen size bed. Both will give you those nights of rest and relaxation you have been searching for. 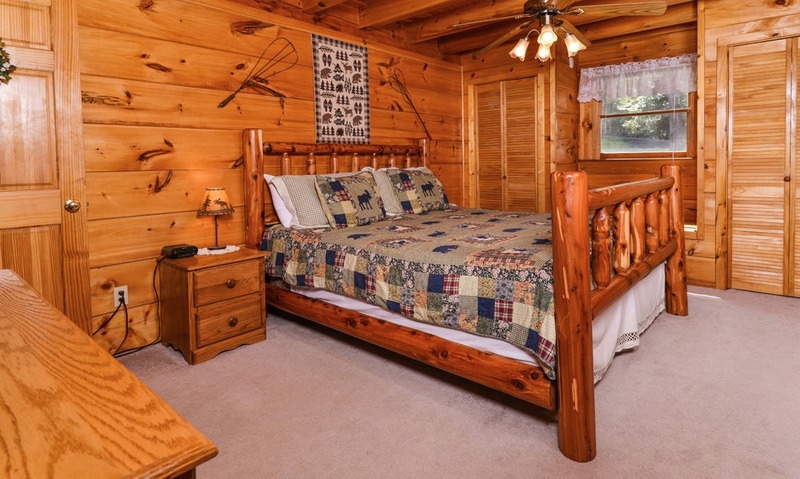 If you need extra sleeping quarters, you will find a sleeper sofa in the living room. This sleeper sofa is comfortable and can accommodate two additional people. The spacious kitchen of Mountain Magic is fully equipped with everything you need to fix any meals or snacks you wish to prepare while on vacation. You can try out your culinary skills in this open cabin kitchen while you visit with family and friends. 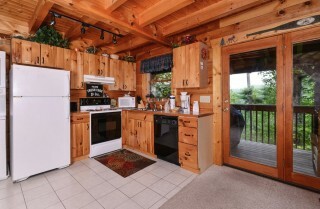 A fully equipped kitchen is a great amenity, because it allows you to save money on eating out every meal. Use the money you save to buy souvenirs or tickets to the attractions you’ve been wanting to check out! 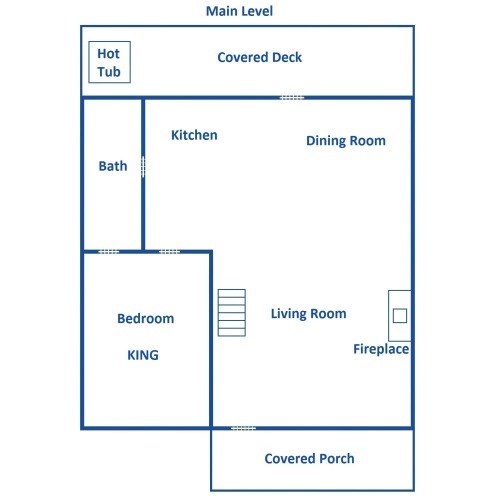 If you have leftovers after cooking, just store them in the fridge for a late night snack. Need coffee every morning? 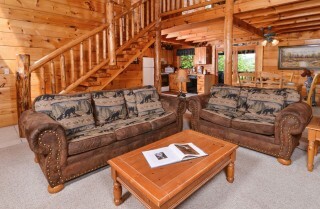 Just bring your favorite coffee and use the coffeemaker at Mountain Magic to have a fresh pot anytime! 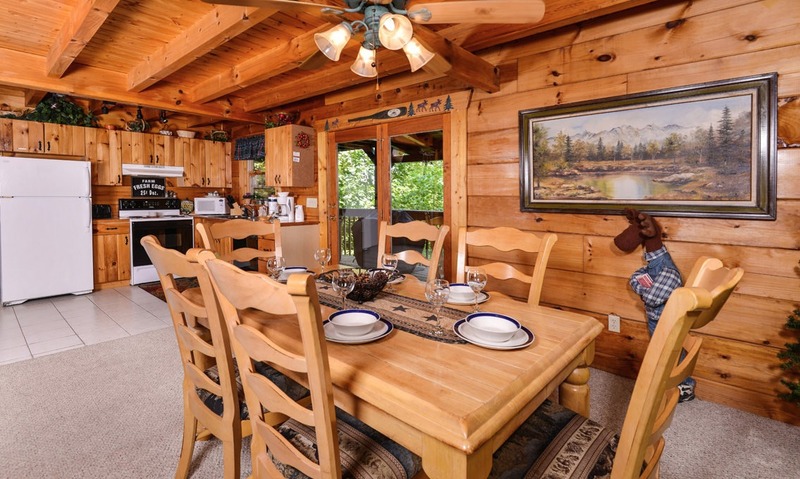 Enjoy a hot cup of coffee whenever you need one, without having to leave the house! A dining table by the kitchen has room to seat all six guests. 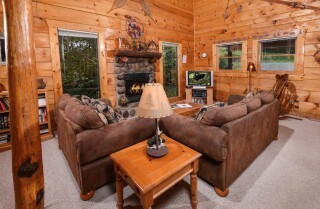 The living room in Mountain Magic provides all of the comforts of home while offering the luxuries of vacation. 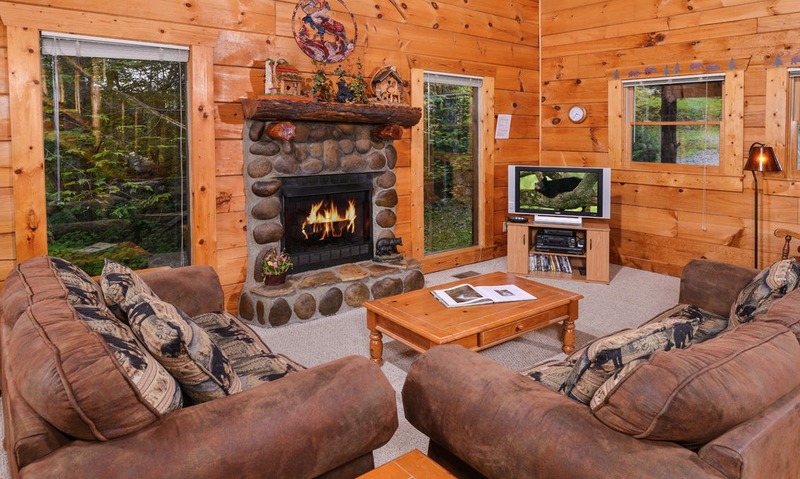 With a flatscreen TV in the living room, make sure to bring some movies to watch while you vacation. 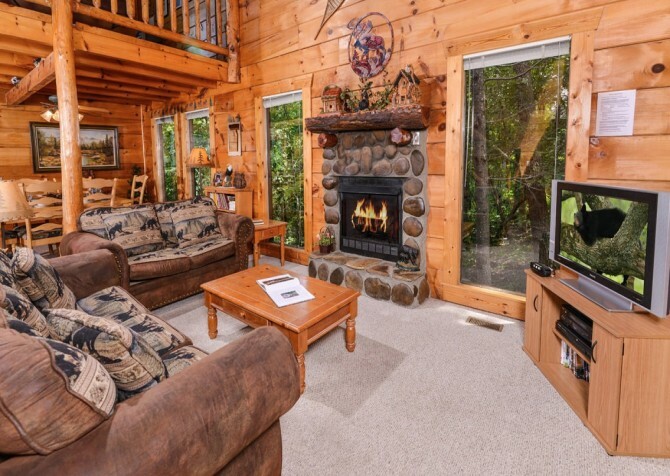 Have movie nights, romantic nights in, watch TV as you rest and nap, or just catch up on the news on a slow, relaxing morning. 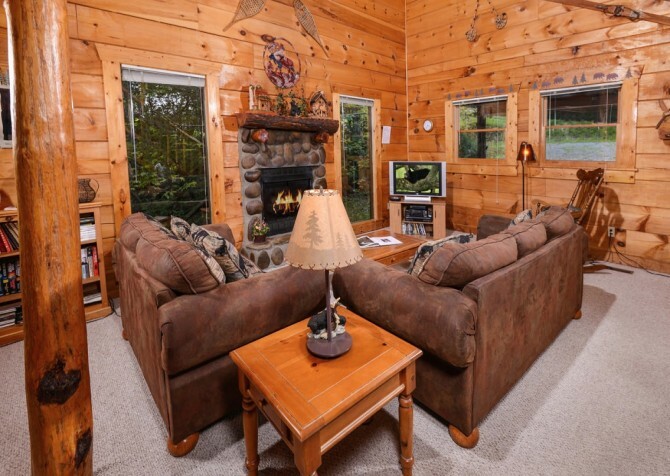 The living room has plenty of seating for everyone coming with you, so you can all watch whatever you like together! 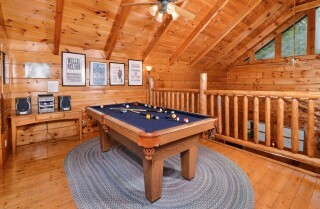 Do you like competition? 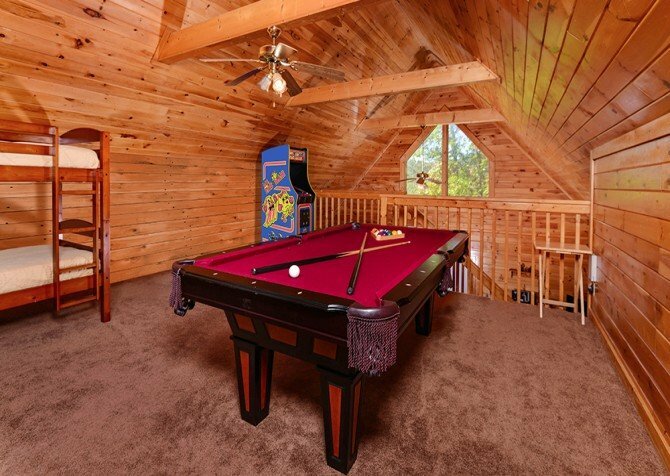 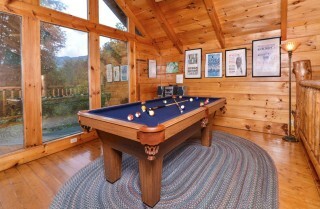 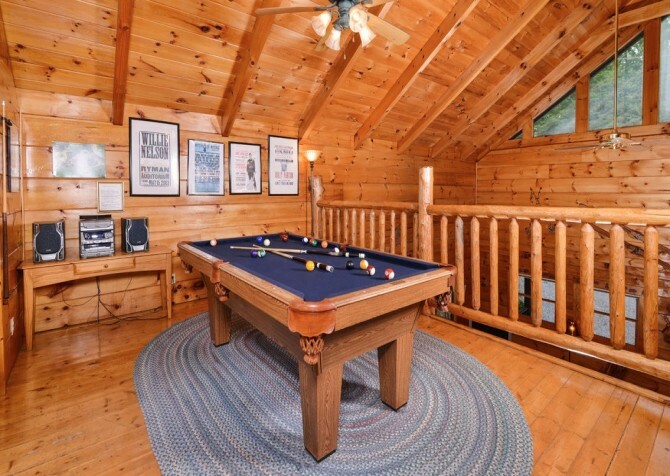 Play a few rounds of pool while you enjoy the beautiful Smoky Mountain view through the large picture windows. 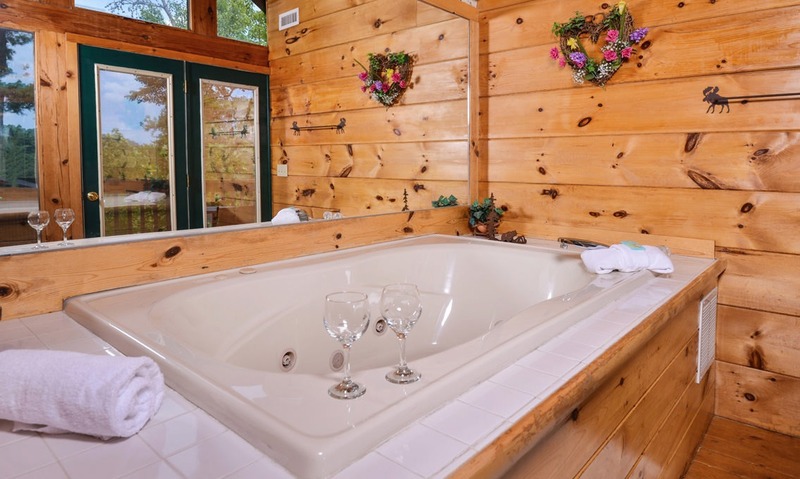 Other amenities at Mountain Magic include an indoor jetted tub, a DVD player and VCR, a washer and dryer, a gas grill, and a 6-foot scrapbook table! After a long day of shopping and enjoying all the downtown attractions, come back home to your cabin rental and unwind. 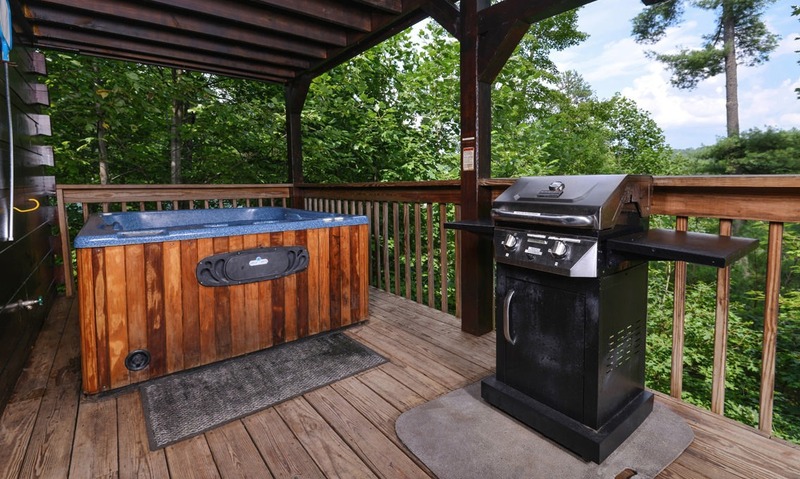 Mountain Magic offers an outdoor hot tub for relaxation that overlooks a gorgeous view of the Smoky Mountains. 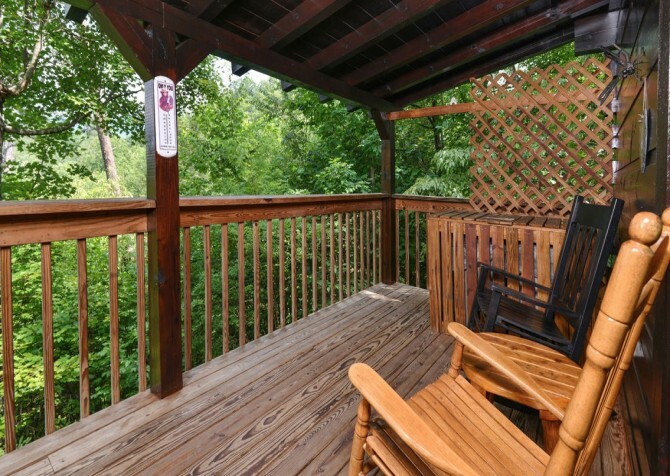 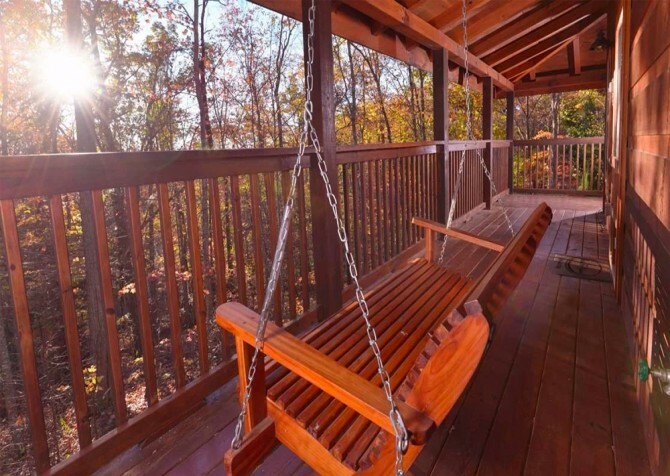 The deck is spacious and offers rocking chairs for seating. 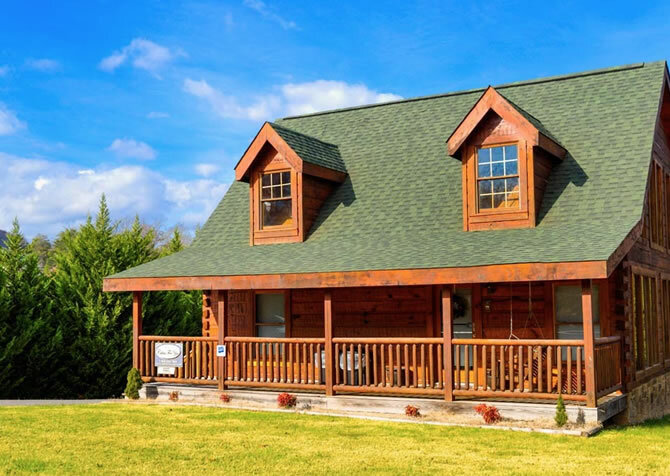 Enjoy your mountain sunset or sunrise in the Smokies as the serenity of your Pigeon Forge cabin takes you to a place of peace and tranquility. You will never want to leave the luxurious Mountain Magic! Allow us to help you book your Smoky Mountain vacation that you have been dreaming of! 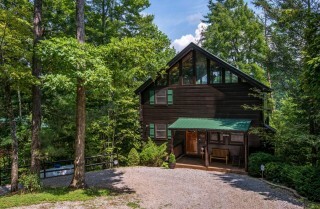 Want to know more about this Smoky Mountain cabin? 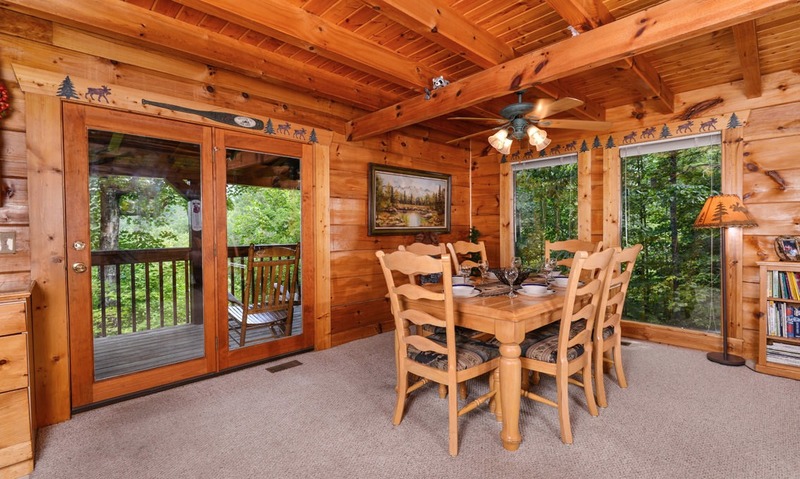 Call 1-800-684-7865 to speak with a dedicated Cabins For You reservation specialist today! "What a lovely place to stay. 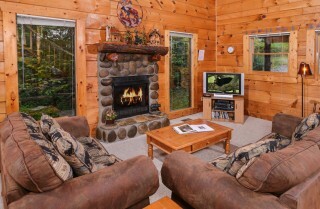 We had a great week and it was so nice to come "home" to a cozy place after a day of riding motorcycles in the mountains. It had everything we needed and was just so inviting."